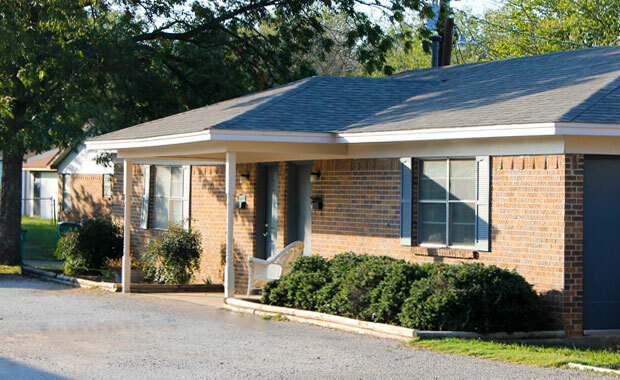 If your family is relocating to Whitesboro and you need home-style accommodations with a great location, look no further than our College Street Whitesboro Apartments. These duplexes have all the amenities a family could want, and they're in an excellent location for individuals, couples, and families. College Street Apartments are your best bet for convenient, home-like accommodations nearby to all the family-oriented attractions in Whitesboro. 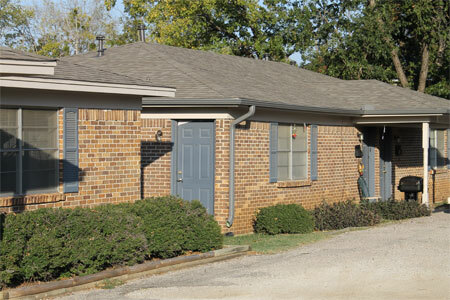 Our duplexes come outfitted with the best amenities, including quality mini blinds and ceiling fans in some units. So if you're moving to or within Whitesboro and are looking for a perfect home in the midst of Quarter Horse Country, you'll find exactly what you're looking for at our family-oriented College Street Apartments. They're fabulous for couples, singles, and roommates, too! 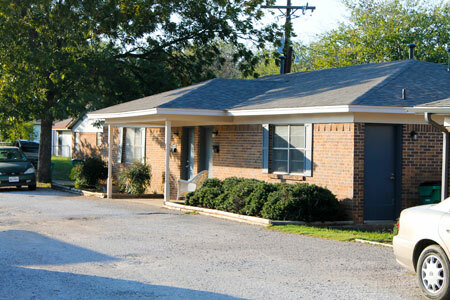 Call our helpful rental agents today to learn more about College Street Apartments. If you're looking for Whitesboro Apartments that will make it easy for your kids to get to school, College Street Apartments are exactly what you're looking for. These apartments are literally right down the street – within walking distance – of the Whitesboro Public Schools, including Whitesboro Intermediate School. For a smaller town, Whitesboro has a huge variety of parks managed by the city's Parks and Recreation Department. Luckily, these Whitesboro Apartments are within walking distance of several of the city's excellent parks, including Center Street Park, Sunset Park, and Trollinger Park. Center Street Park features a basketball court, picnic areas, two youth baseball fields, and a playground. Trollinger Park has a stage, playground, BBQ area, and basketball court, and another nearby park, Tot Lot, features a playground and several youth baseball diamonds. Another attraction in Whitesboro for families is the Whitesboro Swimming Pool, also managed by the city's Parks and Recreation Department. Our Whitesboro Apartments are less than five minutes from the pool, where your family can enjoy open swimming, swimming lessons, and a variety of other pool programs. The wonderful community of Whitesboro hosts plenty of activities for individuals and families of all ages, as well. Community activities within easy reach of our Whitesboro Apartments include senior citizen dances, indoor walking, tae kwon do, community track, lifeguard courses, youth volleyball and soccer, water aerobics classes, tennis camp, and youth summer camp programs. All of these activities take place within minutes of our conveniently located Whitesboro Apartments! There are several dining options within easy reach of the College Park Apartment complex, including Daylight Donuts just up Union Street/377. South of our Whitesboro Apartments, you'll find Simple Simon's Pizza and the well-loved local restaurant, Lovejoy's on Main Street. 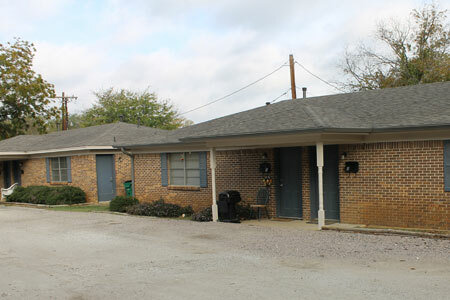 Just north of these Whitesboro Apartments at the junction of 82 and 377, you'll find a huge variety of restaurants, including Sonic, Subway, Mud Flaps, McDonald's, Pizza Hut, and La Hacienda. 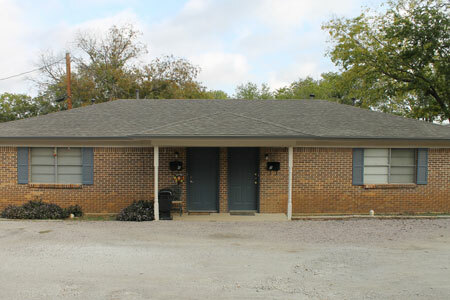 And, of course, there are plenty more family, fast food, and fine dining options in nearby Gainesville and Sherman! While larger shopping centers like malls, WalMart, and Target are located in Sherman and Gainesville, there are some convenient shopping options nearby to our Whitesboro Apartments, including Old World Meat Market and Family Dollar. You can also enjoy the local flavor at smaller local shops like Mike Allred's Custom Handmade and the Kaleidoscope Quilting Shop. 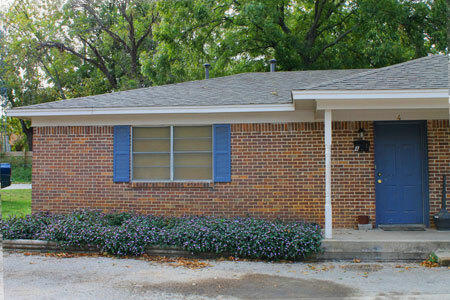 Again, Gainesville and Sherman boast a plethora of shopping options for all your needs, and are located a short twenty to thirty minute drive from these Whitesboro Apartments.